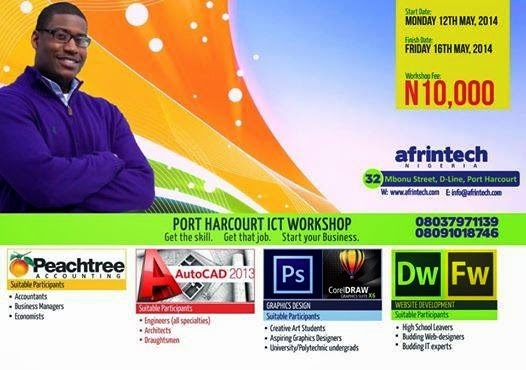 Photo: Port Harcourt ICT Workshop PeachTree Accounting AutoCAD (2D & 3D) Graphics Design Website Development Starts: Monday, 12 May, 2014 Venue: 32 Mbonu Street (opposite OldSpice Restaurant), D-Line, PH. Workshop Fee: N10K Registration is on first-come, first-served basis. Download the flyer attached herein for more details.